**THIRD ROW SEATING** 4 NEW TIRES! 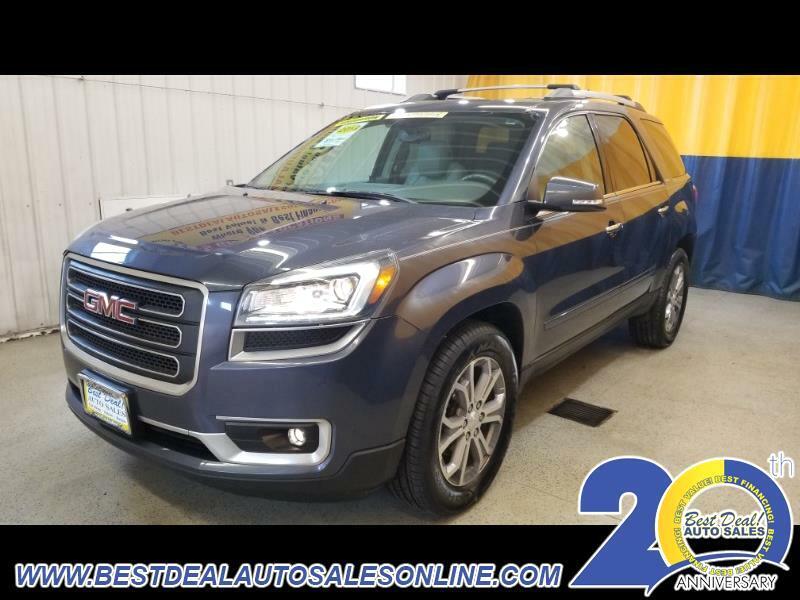 2013 GMC Acadia SLT-1! Powered By A 3.6L V6! New Front And Rear Brake Pads And Rotors! Leather Interior! Heated Seats! Power Door Locks! Power Windows! Power Mirrors! Power Sunroof! Cruise Control! Tow Package! Dual Climate Controls! Cd Player! Touch Screen Display! Navigation! Rear View Camera! Bluetooth! Powered By Intellilink! Stop By Today Or Give Us A Call @ 260-357-0099!